Question: Would you please give me a Viognier wine recommendation? Answer: I am not the best person to ask as I usually unfairly compare New World Viognier to the expensive treasures of Chateau Grillet or Condrieu Coteau de Vernon from Domaine Georges Vernay in the Rhone. The unique floral aromas of apricot and peach pit are attractive but the grapes need to be ripe enough to show those luscious elements instead of unripe vegetal notes. However it is tricky one as they should also try to harvest early enough to avoid a tendency of low acidity and with too much resulting alcohol. Yalumba in Australia has done an admirable job of delivering dry lush examples with their reasonably priced Y Series. 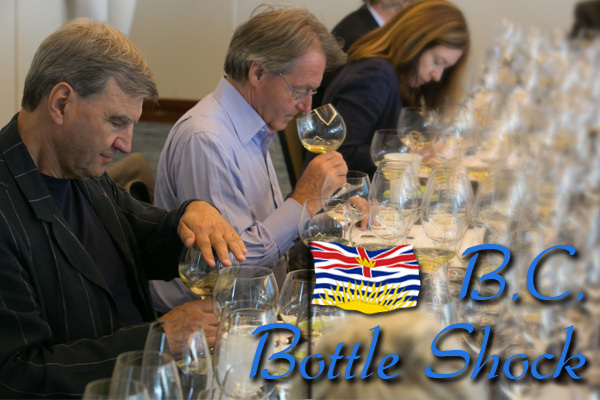 In British Columbia a Rhone white blend including the Viognier variety with Roussanne & Marsanne is becoming most popular. Try the balanced Ava from Le Vieux Pin, aromatic Afraid of the Dark by Moon Curser Vineyards or Figaro (no Marsanne in the blend) from Terravista Vineyards – winemaker Senka Tennant suggests serving it with roasted tomato-squash soup & crème fraiche. Single variety 2016 “Rachel’s” Viognier is highly recommended from Daydreamer Wines in Naramata. Winemaker Marcus Ansems MW previously used all his Viognier in his signature Syrah but liked this 2016 one with perfectly timed picking “with some tension left” at 13 alcohol for this solo beauty. Hard to believe how popular Rosé has become recently. Not only on a relaxing patio during the warmer Summer months but served all year round too. Seems to be presently the go to wine for sure where ever you are. Taking smart advantage of this trend in Vancouver is Jean-Francis Quaglia Chef/Owner of restaurant provincemarinaside.ca & The Wine Bar with his forward thinking wine team. Jean-Francis has fond memories of drinking Tavel several decades ago in his home in the South of France at give away prices but his imported magnums of 2016 Tavel Prieure de Montezargues now cost a pretty penny. They have all the Cotes de Provence hot hits including despite their split Brad Pitt/Angelina Jolie’s 2017 Miraval, Domaine de Carteyron: “Cuvee Malyse”, Rimaureso Cru Classe mags, and so popular Sacha Lichine Chateau d’Esclans Whispering Angel in monster Imperial size! Also impressive Clos Cibanne Cuvee Prestige Caroline Tibouren and even Domaine Moulin des Costes from Bandol. They have 48 Rosés with 41 served by the glass and 25% off on Sunday. What a statement! Rosés seem to be coming from everywhere in the world. Italy is expanding with many indigenous grape varieties used from several regions such as Negroamaro in Salice Salentino Puglia to Chiaretto in Bardolino. 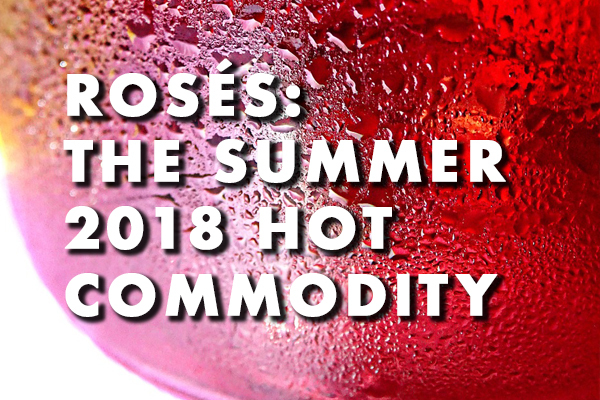 Rosados from Spain using Tempranillo and Grenache have been around for a while but other countries testing the market include Portugal, New Zealand, Greece, Australia, South Africa, Germany, Austria, Chile, and Argentina. On your scribe’s recent trip to Bordeaux there were lots of local Rosés made from Cabernet & Merlot grapes but these varieties are more difficult to get that cherished delicacy from though Clos de Soleil Winery in the Similkameen Valley BC has produced a full bodied fruity Cabernet one. IMHO the first obligation of Rosé is to be fresh, lively and most charming with the better grapes for that style outside of Provence including pinot noir, gamay, and increasingly pinot meunier. Checking out lots of worthy examples from both 2016 & 2017 consistent vintages in British Columbia. Really like the pink Sparkling Mariani Clone 509 gamay 2017 Rosé (90 cases) with 4 hours of skin contact from Jay Drysdale at Bella Wines. My 2 other favourite Rosés so far are Ann Sperling’s delicious 2016 Pinot Noir Rosé with a 24-30 hour soaking at a fresh 11.5 alcohol and Heidi Noble’s 2017 Chic Fille (50 cases from JoieFarm) interesting so charming lees character dry savoury Pinot Meunier with 8.6 total acidity and only 10.5 alcohol. Get hip and check out these outstanding Rosés! Are you a fan of Rosé? Ask Sid: What is the Influence of Global Warming in Champagne? 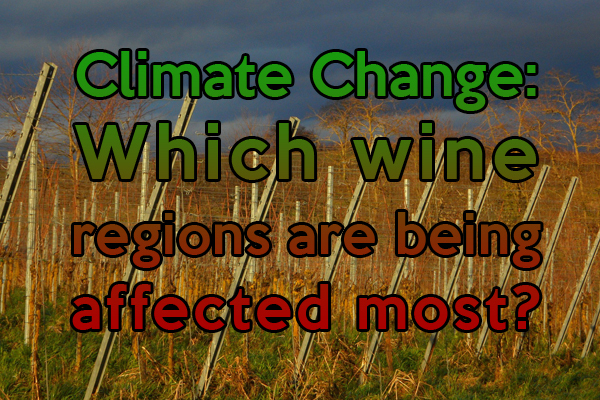 Question: What do you see as the major influence of global warming in the Champagne region? Answer: Well the grapes are getting riper and there is more early picking of them. 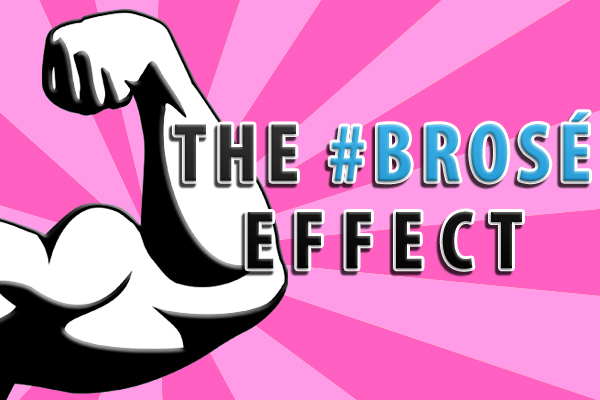 This will have a major effect ongoing. 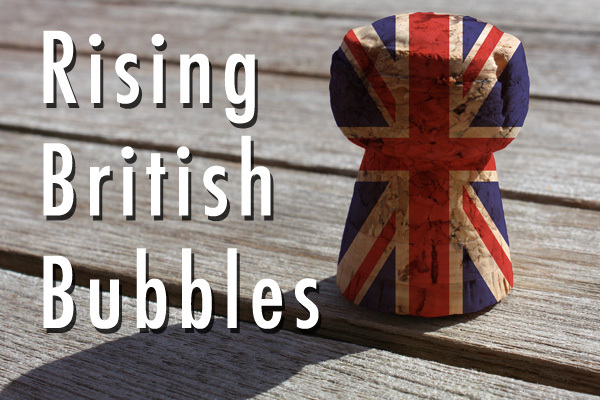 We see the benefit of warmer temperatures for English Sparkling wines and others around the world produced in cooler regions. IMHO the main change so far is the conscientious examination of grapes for their pH levels which are on the rise. Accordingly most houses that routinely put their bubbles through 100% malolactic fermentation now decide whether or not to do so or even to just do so partially. They want to ensure that their Champagne still retains outstanding bright freshness of balanced acidity levels. Check this technical modification out with the next purchase of your favourite Champagne! Are you concerned about the impact that climate change is having on Champagne? Bordeaux has seen some hotter weather recently. However 50 years ago the 1966 vintage was more typical of the times with dry cooler Summer conditions. 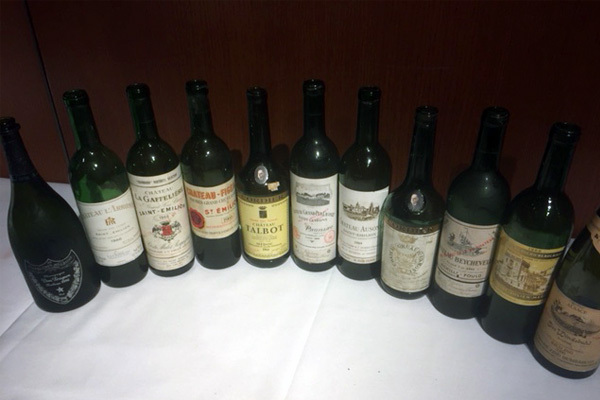 There was the outstanding concentrated 1961s followed by excellent 1962 and 1964 but much more frequent vintage failures like 1963, 1965, 1968, and 1969. Therefore 1966 Bordeaux was received with enthusiasm as Peter A. Sichel reported in his treasured annual Vintage Report as “style of 1962s, lighter than 1964s, but with sounder balance. more finesse and even more quality.” Michael Broadbent called it “An excellent vintage. Stylish, elegant, well balanced. Lean rather than plump, though with good firm flesh…could develop from 4 star into 5 star class.” Tawfiq Khoury staged for the annual KPBS fundraiser in San Diego on November 5, 1986 a tasting of 111 Classed Growth Bordeaux from 1966 in 19 flights commented on by a panel consisting of Michael Broadbent, Bruno Borie and your scribe. 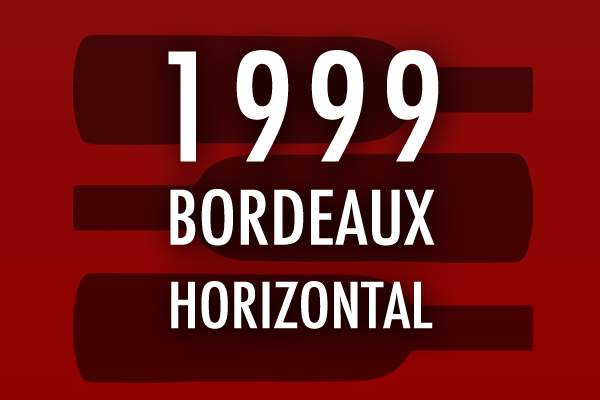 Michael called them “Bordeaux style at their best”. He was concerned that leanness would prevail, yet he was encouraged by the vigour and old style quality of the fruit at 20 years of age. I remarked “at least some of these wines of 1966 had enough fruit to match their acidity, and showed the long-distance-runner sinews of the vintage.” The regions of St. Julien and Pauillac performed consistently strong. Among the many properties showing very well at 20 years of age were Latour, Palmer, La Mission Haut-Brion, Haut-Brion, Leoville-Las-Cases, Grand Puy-Lacoste, Gruaud-Larose, Trotanoy, Petrus, Pichon-Lalande, Lafleur, Cheval Blanc, Figeac, Domaine de Chevalier, Beychevelle, Branaire-Ducru and L’Angelus. 1. 1966 Chateau L’Arrosee St. Emilion – Very dark still young red colour. Excellent work over the years by the Rodhain family with this fine property (with a brilliant 1961) sold in 2013 to Domaine Clarence Dillon. Fresh vigour with lots of body to handle the acidity. Classy wine. 2. 1966 Chateau La Gaffeliere St. Emilion – Quite an aged look and nose less clean with a touch of both TCA & VA (often a problem with their 1970). Disappointing bottle. 3. 1966 Chateau Figeac St. Emilion – Good deep tones with best mature nose of first flight combining drinkability with lovely delicacy and complexity. 4. 1966 Chateau Talbot St. Julien – Lighter look with prominent acidity goes better with the mushroom tart. Big sister Gruaud Larose shows much better balance and depth in 1966. Both properties made outstanding 1982s. 5. 1966 Chateau Grand Puy Lacoste Pauillac – Medium dark colour with rich full cedar character holding up well and even improving in the glass. So stylish. Underrated property even then. 1970 also delicious. 6. 1964 Chateau Ausone St. Emilion – Mystery wine with a very dark colour. Most complex bouquet of second flight. More Merlot/CF showing than GPL blend of Cab Sauv. A wonderful sweetness here and amazing surprise for this property during the sixties. 7. 1966 Chateau Gruaud Larose St. Julien – Old favourite making superb wine in the early sixties. Very dark deep colour. Big open excellent intense wine. Shows outstanding terroir of St. Julien. Impressive at 50+ years. Buy at auction. 8. 1966 Chateau Beychevelle St. Julien – Much lighter look and very mature edge. Has been drinking well for decades and holding on but needs drinking now as losing fruit. Simpler but enhanced by the beef dish. 9. 1966 Chateau Ducru Beaucaillou St. Julien – A treat to have 3 St. Juliens in this last flight. Colour still dark deep and youthful helped by the acidity. Lively palate from the vintage and gravelly soil. Classic elegance on a continuing plateau. Mature old style Bordeaux for sure. Drier with more acidity than current releases. All wines need drinking up now but experiencing them gives you a special thrill with a better insight into how balanced Bordeaux has such a marvellous capacity for surprising ageing. 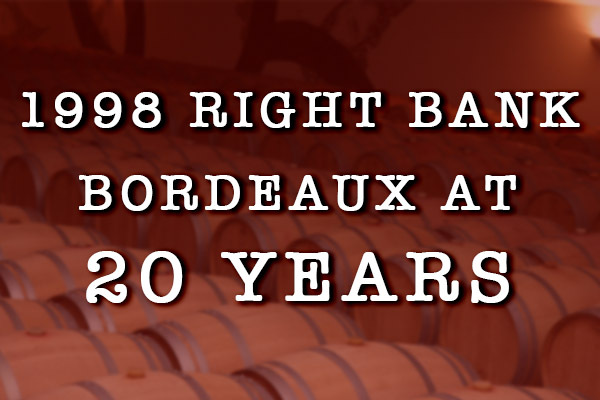 Have you tasted a red Bordeaux over 50 years old? Have you tasted a red Bordeaux over 50 years old? This year marks the 50th anniversary that Richard Milhous Nixon was elected as the 37th President of the United States. With a passion for drinking only the finest wines, not since Thomas Jefferson had there been a bigger oenophile occupying the Oval Office. However, this particular subject remains largely unknown when discussing the Nixon legacy—until now! To learn more, have a look below at ten interesting anecdotes that may or may not change your perception of one of the twentieth century’s most polarizing figures. 1. 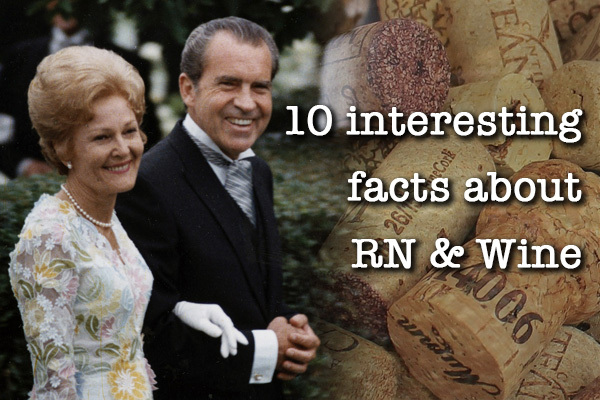 Nixon’s interest in wine dates back to his days as a lawyer living in New York City after losing the 1962 California gubernatorial election. During this period, he would always have a bottle of his favorite vintage waiting for him whenever he dined at the 21 Club. 3. 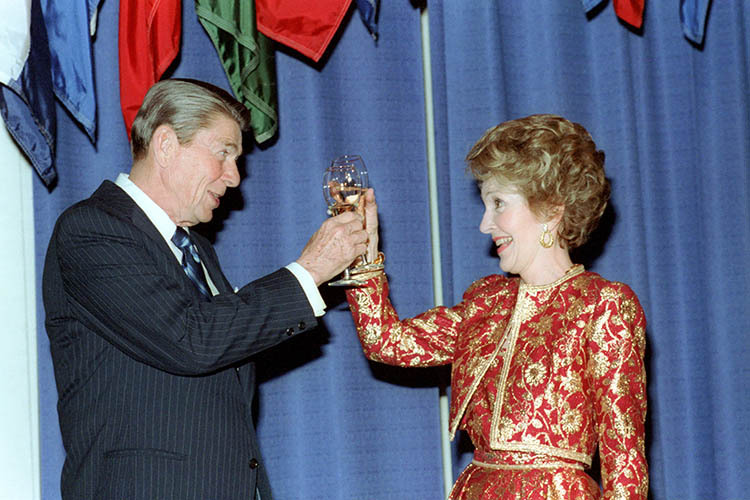 During one such incident, while entertaining ten congressmen on board Sequoia, the presidential yacht, Nixon ordered his stewards to serve them six-dollar wine while he drank a thirty-dollar bottle of Chateau Margaux, wrapped in a towel. 6. Although he preferred French wines, Nixon was also eager to promote his home state of California. During his visit to China in 1972, he gave premier Chou En-lai a bottle of Schramsberg sparkling wine. After this fact was revealed, the winery was overwhelmed with orders. 7. According to Henry Kissinger, Nixon was known to slur his words and/or become combative and vulgar after two glasses of wine. 8. 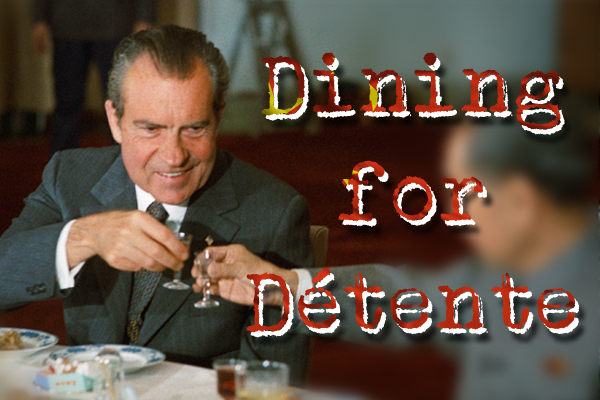 To celebrate the signing of the Paris Peace Accords, Nixon asked for the best wine he had: a 1957 Lafite-Rothschild to go with his steak. But this time, everyone got to taste the wine! 10. 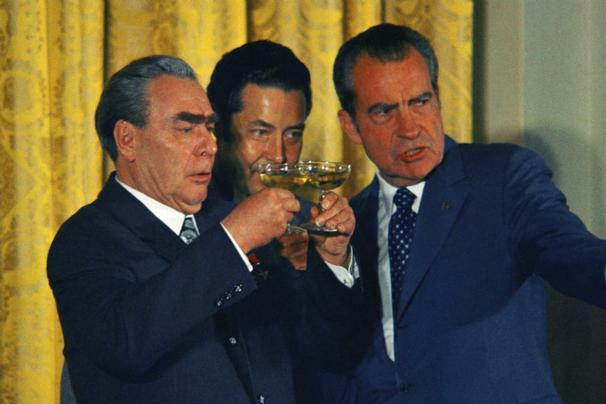 In addition to drinking wine, Nixon also consumed vodka, scotch, brandy and rum. Haldeman, H.R. The Haldeman Diaries: Inside the Nixon White House. New York: G.P. Putnam’s Sons, 1994. Sullivan, Charles L. Napa Wine: A History. San Francisco: Board and Bench Publishing, 2008. Reeves, Richard. President Nixon: Alone in the White House. New York: Simon & Schuster, 2002. Page, Karen and Dornenburg, Andrew. The Food Lover’s Guide to Wine. New York: Little, Brown and Company, 2011. Will-Weber, Mark. Mint Juleps with Teddy Roosevelt: The Complete History of Presidential Drinking. Washington DC: Regnery History, 2014. Woodward, Bob & Bernstein, Carl. The Final Days. New York: Simon & Schuster, 2013. Zraly, Kevin. Windows on the World Complete Wine Course. New York: Sterling Publishing Co., Inc., 2006.